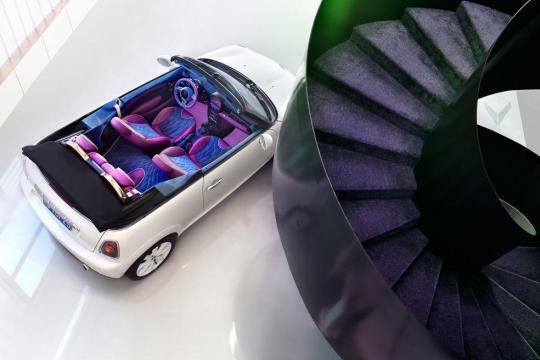 Design house Vilner reveals a unique MINI Convertible that's as "discrete as a firework" with a gold and purple cabin. 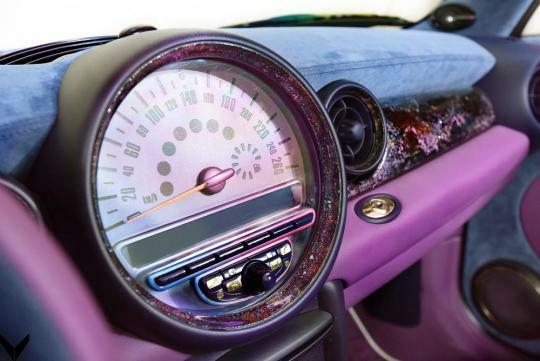 The MINI's interior design is already a bit different, with the large circular screen and dials around the steering wheel, but design company Vilner has taken this Convertible a step further. 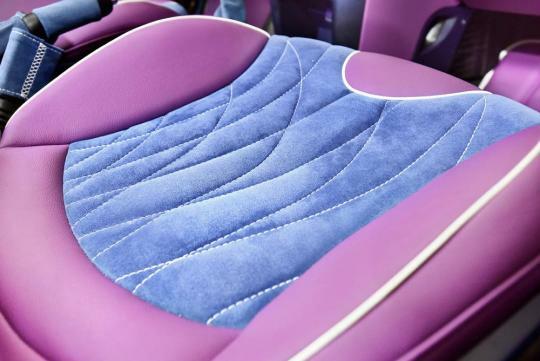 It's described as being as "discrete as a firework" and features a complete purple overhaul for the seats, dashboard, carpets and door trim, with blue Alcantara covering the rest of the surfaces inside. 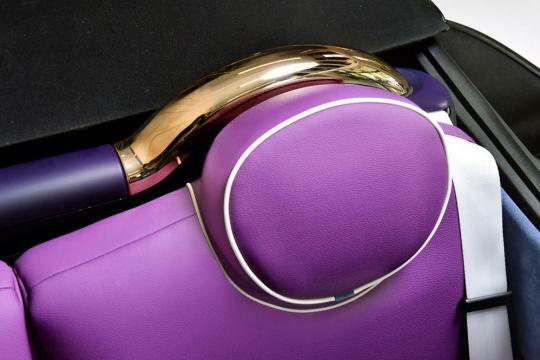 There's white stitching too, to match the exterior colour of the car, which also gets purple highlights. 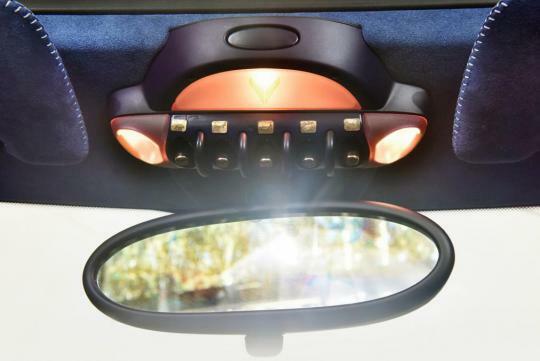 It's hard to miss the gold highlights around the cabin too, used for the buttons on the dashboard and the roll-over hoops behind the rear seats. 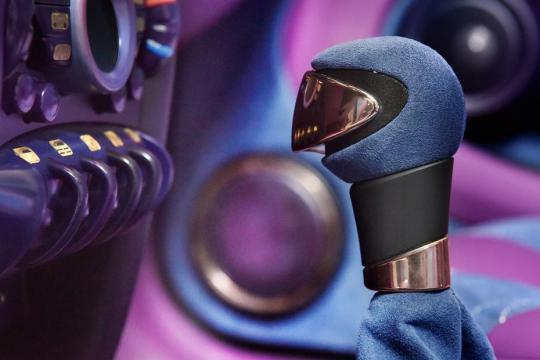 The steering wheel and dashboard also get a space-themed paint finish to complete the out-of-this-world makeover. 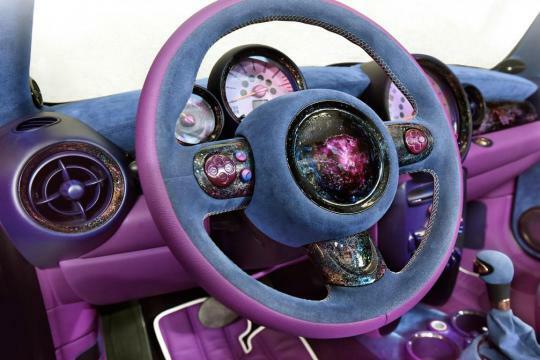 The space theme represents the owner of this car, an actress living in Beijing, China.  Apparently her motto is "Success can be limitless, just like the Universe." 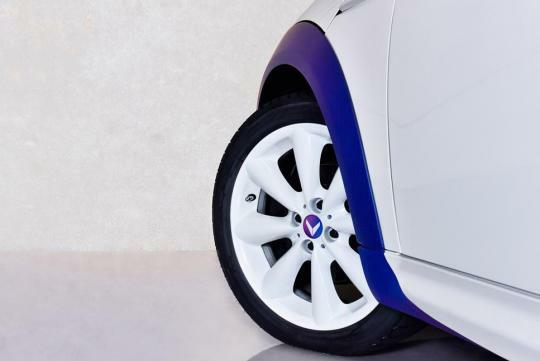 Vilner is a design studio for cars based in Bulgaria, and this is the first time that the company has had a project for China. 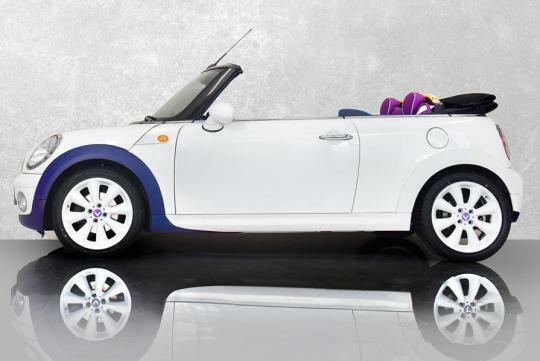 What do you think of this strange MINI Convertible?